The Postgraduate Certificate in Medicines Management (Independent and/ or Supplementary Prescribing) is a part-time, web-dependent programme, developed with the aim of preparing suitably qualified Allied Health Professionals for the extended roles of access and supply of drugs under exemption order, Patient Group Directives, Independent and Supplementary Prescribing (Physiotherapy and Podiatry) and Supplementary Prescribing (Radiography). The programme comprises two compulsory thirty credit point modules; Pharmacotherapeutics in Prescribing and Prescribing in Practice; in combination leading to the award of Postgraduate Certificate in Medicines Management and the professional award of Independent and/or Supplementary Prescribing (for those professions eligible). The two modules are usually taken over a one year period. The programme runs from September to December (Module 1: Pharmacotherapeutics in Prescribing) and January to May (Module 2: Prescribing in Practice) each year. Physiotherapists, Podiatrists, and Radiographers have been able to prescribe as Supplementary Prescribers since 2005. Two joint formal consultation by the Department of Health and the Medicine and Healthcare Products Regulatory Agency (MHRA) on proposals to further introduce Independent Prescribing rights to Chiropodists/Podiatrists and Physiotherapists in 2011 led to the development of The Human Medicines Regulations 2012, resulting in Independent Prescribing rights being extended to these health professions from August 2013. Non- medical prescribing underpins achievement of the goals identified in Equality and Excellence: Liberating the NHS (Department of Health 2012) by the development of new roles and service delivery to improve patient outcome. Independent and Supplementary prescribing by Health Professionals improves patient access to services, enables early intervention reducing hospital admissions and improves discharge outcomes following hospital stay by improving the transition from acute to community care. Independent prescribing by Physiotherapists and Podiatrists has been demonstrated to support patient-centered care by enhancing partnership working across professional and organisational boundaries, enabling the redesign of care pathways that is cost effective, maximizes benefit to the patient, enhances professional autonomy and is sustainable. Supplementary Prescribing is used most often in chronic disease management where the initial diagnosis has been made by an Independent Prescriber and continued care is paramount (for example in the case of administration of radiotherapy, or the case of clinical research trials). Direct benefits to the patient are an improvement in patient care, better use of Allied Health Professionals and Medics time, clarification of professional responsibilities leading to improved communications, the provision of a holistic and autonomous service by non-medical professionals, greater concordance and improved understanding by patients of their pharmacological management. This part time, web-dependent programme has been developed with the aim of preparing suitably qualified Allied Health Professionals for the extended role of Independent and/ or Supplementary Prescribing in accordance with legislative eligibility. Completion of the programme also provides the training elements required for Allied Health Professionals working under patient group directives and will qualify the applicant for the professional entry of Prescriptions Only Medicine Certification on the Health Professions Council register where eligible. Students are required to attend and engage with ALL face to face teaching sessions and clinical placement hours associated with the programme. Students MUST demonstrate that placement activity is carried out and attendance meets requirements specified in the Prescribing Practice Portfolio (Minimum requirements: 90 hours attendance in clinical prescribing practice for Independent and / or Supplementary Prescribing). (d) In exceptional circumstances, where an individual has substantial and significant experiential learning, a Prescribing Practice Portfolio of written evidence demonstrating the meeting of graduate qualities (including subject-specific outcomes, as determined by the Course Committee) may be considered as an alternative entrance route. Evidence used to demonstrate graduate qualities may not be used for the exemption against modules within the programme. The minimum requirement for this course is Academic IELTS 7.0 with no band score less than 6.5. Trinity ISE: Pass at level III also meets this requirement for Tier 4 visa purposes. Online lectures, where used, tend to be more didactic and participative in style than the more common use of the term ‘lecture’. Online workshops, tutorials, the use of computer assisted learning, and the value placed in the contribution of expert practitioners, lecturers and professors further reflect the principles in operation. Group and team work is, on the whole, a key feature of the learning and teaching in this programme, reflecting on finding solutions and working as agents of change for better service and patient experience. 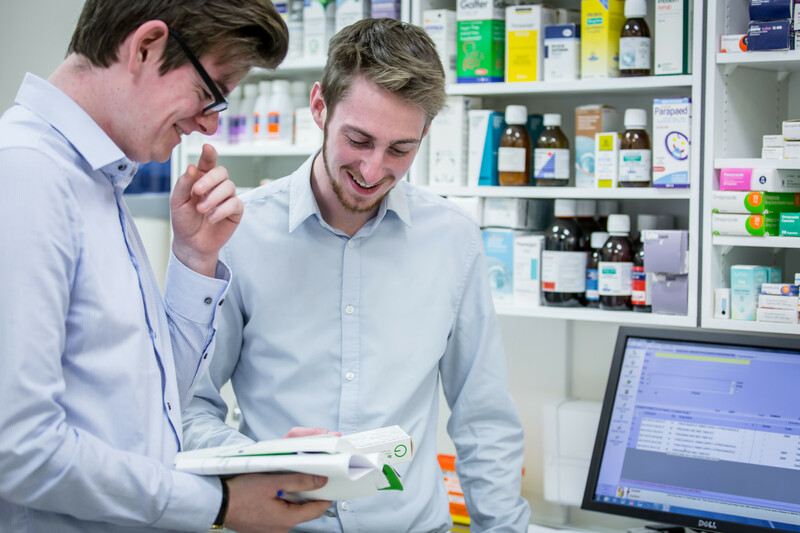 Tutorial work and online discussions have a central place within the Medicines Management programme which is organised around case based practical role play and group work that requires progressively more independent thinking. Teaching is underpinned by current discipline specific and pedagogic research and scholarship. This is evidenced by involvement of members of the Institute of Nursing and Health Research Institute, Centre for Health and Rehabilitation Technologies (CHaRT) and Centre for Higher Education Practice in planning and delivery of modules. Synoptic (case based) examination, multiple choice examination and numeracy skills assessment are undertaken during the designated University examination periods. Professional Portfolio submission is required at the end of module 2 on completion of clinical practice elements. A detailed examination in prescribing practice will be under- taken by the medical mentor during clinical practice and forms part of the modular portfolio requirements. Those who have undertaken the Prescription Only Medicines (POM) annotation training at level 7 within the preceding three years may apply for exemption from the ‘Pharmacotherapeutics in Prescribing’ module via the APL system, awarded by the University or by another university or other educational institution, provided that they shall register as students of the University for modules amounting to at least the final third of the credit value of the award at the highest level in respect of a Master’s award and at least 50% of the credit value of the award in respect of a Postgraduate Diploma or Certificate award. The Postgraduate Certificate in Medicines Management delivers a range of learning experiences to enable students across and between multiple disciplines to enhance their knowledge and skills, encourage critical thinking, creativity and strategic planning in Independenet and/ or Supplementary Prescribing within their professional field, thereby enhancing employability. Students applying for this programme are expected to already be following a distinct career pathwaywith the opportunity of progressing in that pathway through the extended prescibing and leadership skills attained. Placement is central to the development of the safe prescriber and the educational input and support of a designated/ approved General/ Medical Practitioner is crucial to the development of the necessary competencies. For students undertaking the full Postgraduate Certificate programme, placement is organised by the student in negotiation with the employer and Medical Practitioner, and in consultation with the University of Ulster. Clinical placement across the two modules is a minimum 90 hours. Placement is a compulsory part of this programme during which students develop their clinical skills, under the supervision of a Medical Practitioner, to be able to undertake their new role safely. The placement setting will typically be the workplace for each student. Proposed Medical Practitioner’s will be expected to sign a declaration of eligibility (in accordance with the Department of Health’s eligibility criteria) prior to a student being accepted onto the programme. In cases where students cannot gain the skills required in their place of work, the main objective will be to seek the experiences within another suitable environment. Approved by the Health and Care Professions Council (HCPC) for the purpose of providing eligibility to apply for registration with the HCPC as an Independent and/or Supplementary Prescriber.